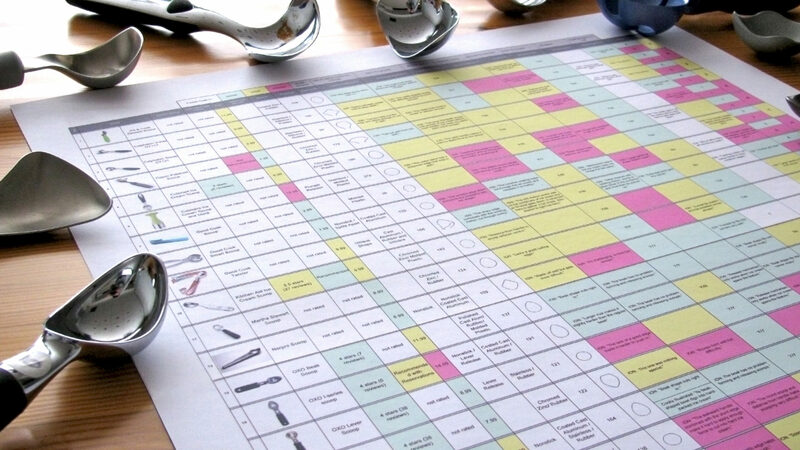 Research revealed that nearly all ice cream scoops had design deficiencies. 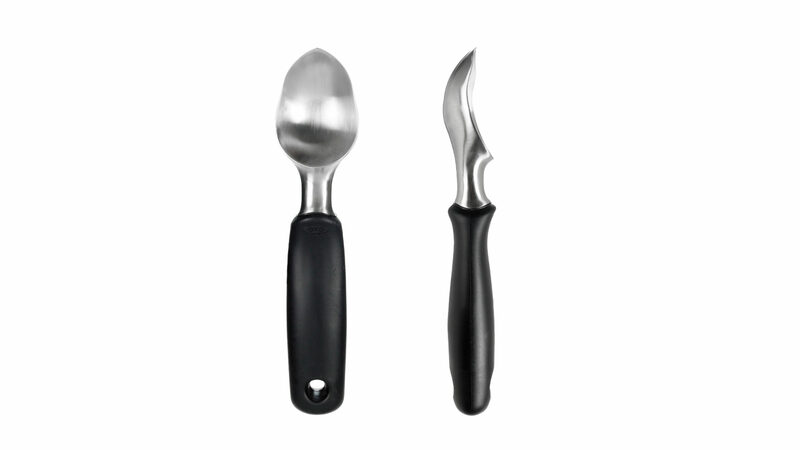 Consumers complained about the strength and effort required to scoop hard ice cream (sometimes resulting in bent scoops) and that the handles were uncomfortable, even painful to hold. 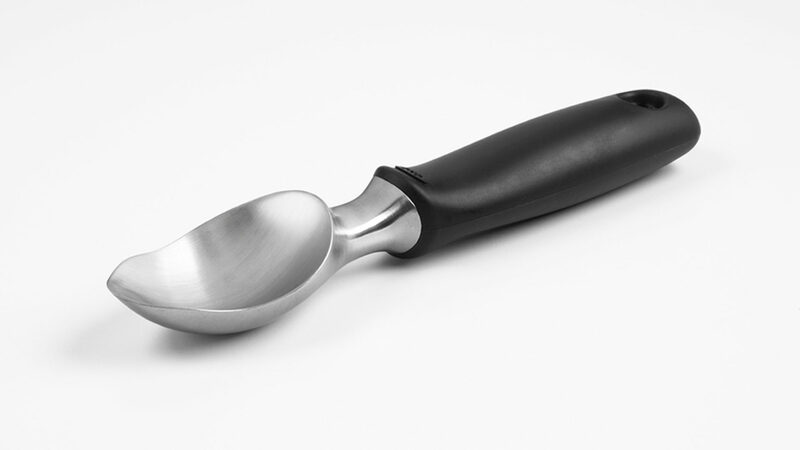 ION’s design solution is a solid stainless steel scoop that won’t chip or discolor, even after repeated dishwashing cycles. 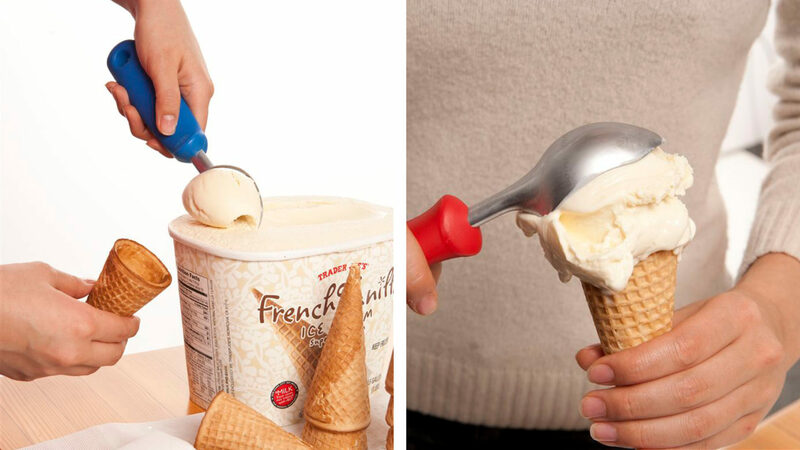 It has a pointed tip which readily digs into hard ice cream, frozen yogurt, or sorbet, and flat edges that reach into corners of any shape or size. A soft non-slip grip cushions during scooping. 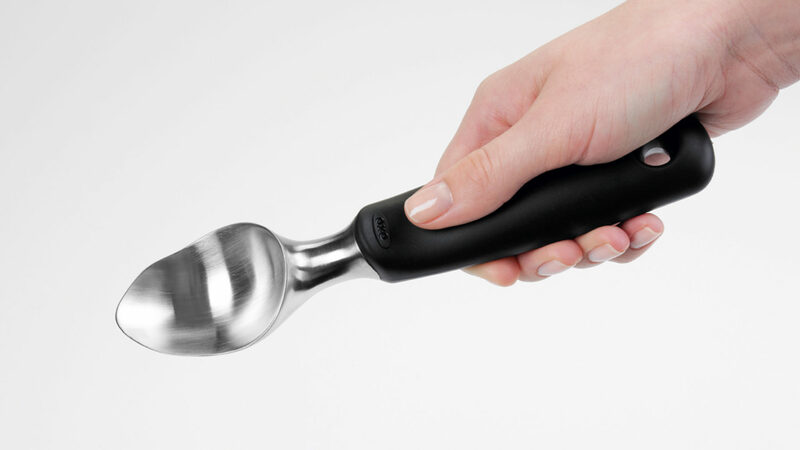 ION created a value-brand line extension using the same scoop geometry in chrome-plated steel, with colorful soft-touch handles.